Story Musgrave is one of the most accomplished and productive astronauts of all time. He is also the very proud father of his daughter who is also named Story, when he became a father again at the age of 72! Listen in to the mindset of a man who “never stops learning” as we hear about growing up on a farm, joining the marines, becoming an astronaut and much, much more. 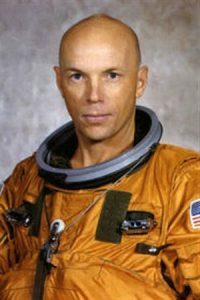 You can learn more about Story by going to www.StoryMusgrave.com.